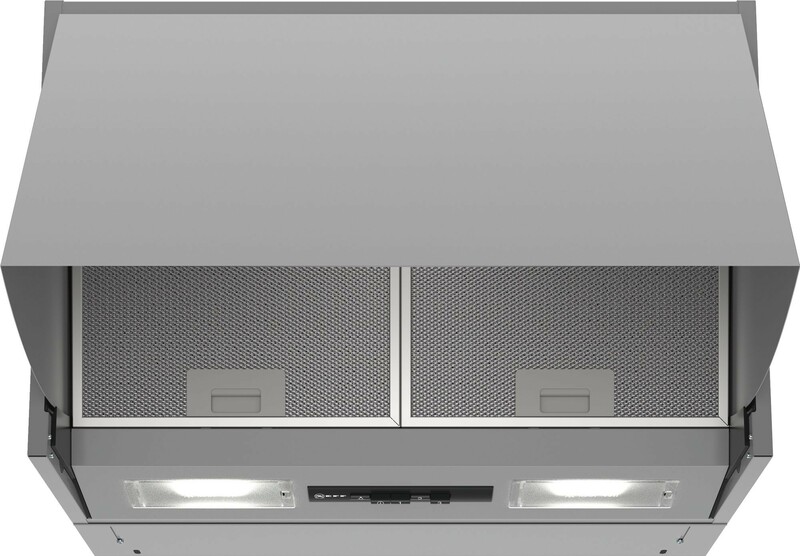 The NEFF D64MAC1X0B Integrated Hood is for installation in between cupboards with a furniture door required. 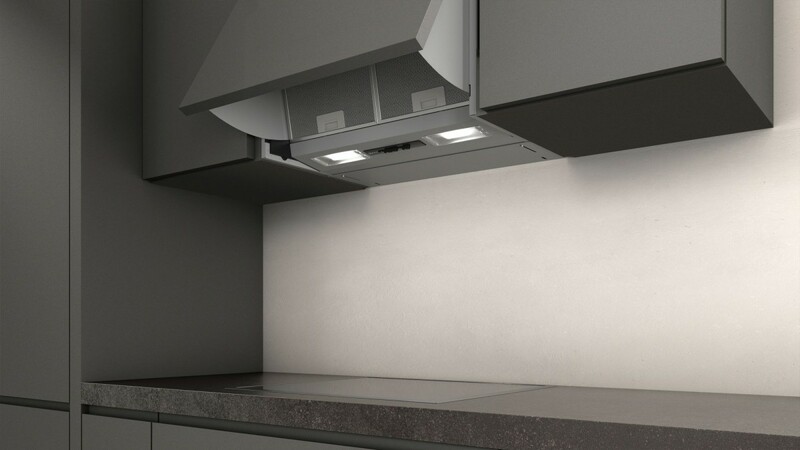 Capable of extracting 350m³/h, this hood will remove all odours and steam in the air whilst being quiet in operation. Three fan speeds and an intensive setting to choose from with a push button control operation. Two durable metal grease filter cassettes are included with this cooker hood and are designed to last for the full lifetime of your product. Two LED lights will help to brighten up your kitchen area as well.